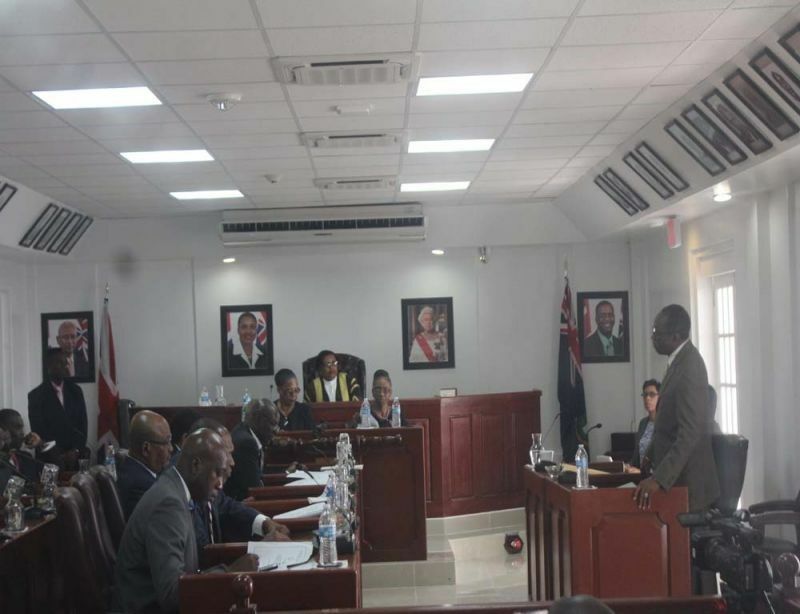 ROAD TOWN, Tortola, VI - Speaking on July 10, 2018, at the continuation of the House of Assembly, (HoA) the Honourable Julian Fraser RA (R3), made clear his position of the state of the Virgin Islands (VI). He noted that Premier and Minister of Finance, Dr the Honourable D. Orlando Smith (AL), will not be the Primer after the next General Elections and it is sad the 'legacy' he leaves for the Territory. He went through a pattern of where the Smith-led Administration had sat by, while the Governor violated the Virgin Islands Constitution and “did not say a word”. The former Leader of the Opposition reminded the HoA that he had made a nomination to the Public Service Commission (PSC)—and the constitution made clear that the Governor “SHALL APPOINT,” after the recommendation by the Leader of the Opposition—but the Governor decided not to, without even an explanation. Hon Fraser noted, one Minister came to the Parliament with it, “as if it was a joke....a total violation but they sat by and said nothing in defense of our constitution.” He also mentioned where he was stripped of the post of the Leader of the Opposition even before another election and again the NDP Government sat there and said nothing because it was not them. Hon Fraser added, it could be “a waste of money” for Dr Smith to challenge in court the United Kingdom Parliament over its amendment to imposed public registry for beneficially owners for offshore accounts. On the issue of independence Hon Fraser a former Government Minister called for a referendum, and reminded the public that it’s in our constitution. The Hon J. Fraser, D-3, the Liberator, is making some collegial arguments. Nevertheless, seems as if he 8s still miffed about being replaced by Hon A. Fahie, D-1, as leader of the Opposition. This explains his odd and curious behaviour since being relieved as leader of Opposition. Violate what constitution? The man have the authority under the constitution to do what he did. So show me Frazer, where did he violate the constitution. a billionaire so nothing can come of it. heh heh...oh yeah? Frazer stop whining! You had the power when the constitution as being reviewed for you were one of those who went to London to fight for the amendments. Instead of trying to fight for your and our rights of not giving the governor too much power, you did not nothing. As a matter of fact you were very satisfied with the results as you were happy to say in the Legislative Council that you got everything you asked for. Stop Whining and count your losses! @ truth sayer: I hope you do not traverse the # 3 district: you can’t say such things about the big guy in that village: but it is funny while in the position to execute certain policies some did nothing however talking the most blues now!!!! You have the A** and then the A**es. Go figure. Fraser, you need to stop with the S**t already. Lets be real here, yes, you had a bright political future ahead.However your cocky arrogance I have no filter mouth is the problem.